as usual, the theme is "anything goes." I used this Sparkle n Sprinkle image - Leafy flower spring wreath . - and it's very versatile! coloured, AND with two sentiments! Bargain! Spectrum noirs: JG5, LG2, EB6, HB1, DR6. Promarkers: Rose pink, Bl28 Marchossom, Amythest. 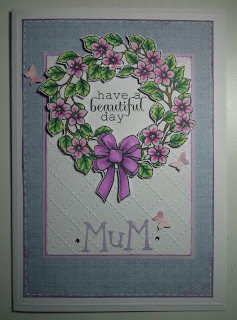 The word MUM was cut on my bigshot - with my wingo zingo alphabet die. and inked the edge with my new chalk ink-pads. I drew on some faux-stitching around the edge of the blue paper and inked the edge. Such a beautiful card and gorgeous colours. Love the wreath and embossing. Thank you for sharing with us at Fussy and Fancy, good luck and I hope you will join us again. 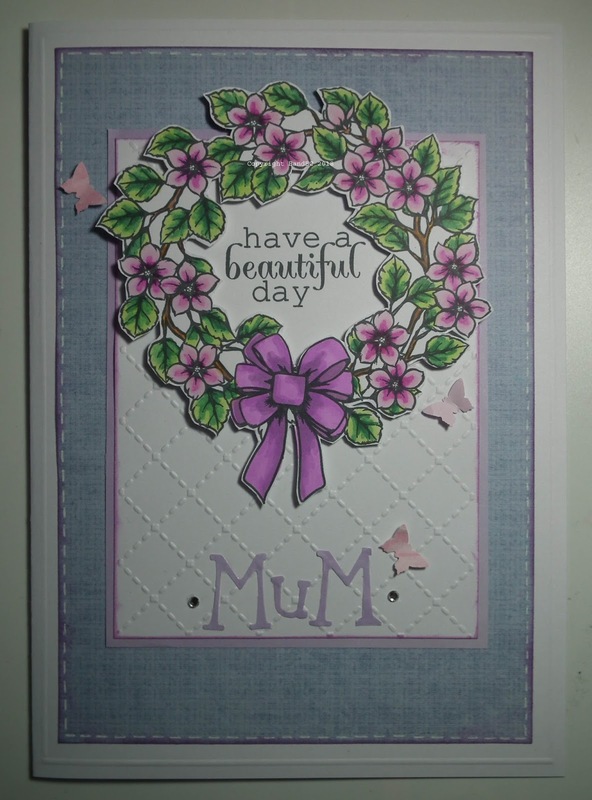 Thank you so much for sharing your super card with us over at That's Crafty. 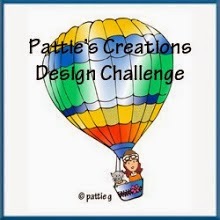 Best wishes in the Spring into Action Blog Challenge. So, so pretty! 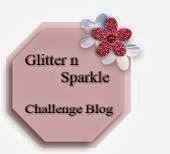 Thanks so much for playing in our Fussy and Fancy Challenge! Please come back again soon! So pretty, i love the little butterflies. I love your floral wreath, Vic, and so will your Mum! 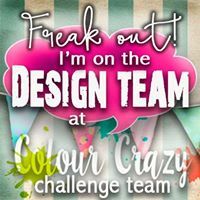 Thank you so much for playing with us at the Simon Says Stamp Wednesday challenge! Thanks for sharing with us at Die Cuttin' Divas! Very pretty! Thank you for joining our “Flowers” Challenge at Die Cuttin’ Divas.